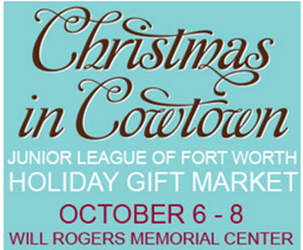 Christmas In Cowtown Holiday Gift Market! 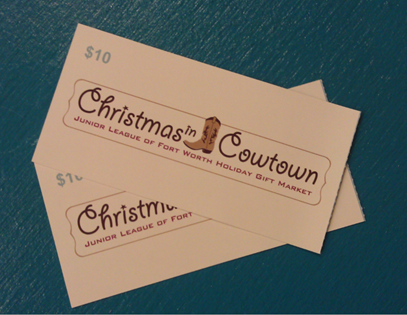 You are here: Home / Great Deals / Christmas In Cowtown Holiday Gift Market! 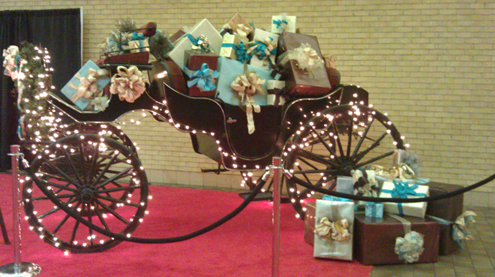 Today, I got to go to Christmas in Cowtown Holiday Gift Market in Fort Worth. I was invited to attend and 2 tickets were provided to me, so I could share my thoughts and pics with you! It was quite a huge event! It was at the Will Rogers Memorial Coliseum in Fort Worth and was put on by the Junior League. There were a ton of vendors there and a lot of great stuff and great ideas for Christmas presents. I could tell you about the fur apron I found, or the cutest pink “furry” little girl boots I saw, or the toy gun that shoots marshmallows (that was the highlight of Hubby’s time there! ) – but how about I just let the pictures do the talking! So, if you’re in town and have a chance this weekend – make sure you stop by and check it out!